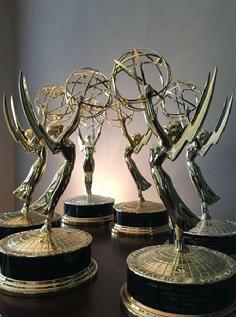 Dennis Baxter has been awarded six Emmys for his work in live sports broadcasting. 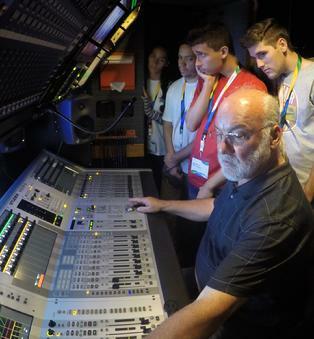 For professionals, getting insight into the latest technological advances in broadcast sound and how to leverage them into better production value can be a good career development move. Understanding what works – and what doesn’t – before you go to air is vitally important. You’ll find a compilation of workshops, presentations and publications available to enhance your broadcast sound portfolio. Organizations involved in producing live television broadcast events require competency in audio personnel. To help meet this industry need, Dennis Baxter Sound offers organizations professional broadcast audio engineering expertise. From strategic planning of equipment, manpower and resources to the tactical training of audio personnel, deployment and management of large-scale broadcast events, we offer professional services every level. With nearly thirty years of experience in live sports broadcast sound design, Dennis Baxter can provide you and your organization with innovative techniques and best practices of the sound industry. If you need professional audio engineering services for your organization or event, consider Dennis Baxter Sound. As a well-rounded audio practitioner and creative sound visionary, we will bring both the practical experience and outside-of-the-box thinking to you and your organization get to the next level of competitive differentiation in their industry.